The Kings & Queens Collection by Carmen Franko represents upscale art of luxury furniture manufacturing. 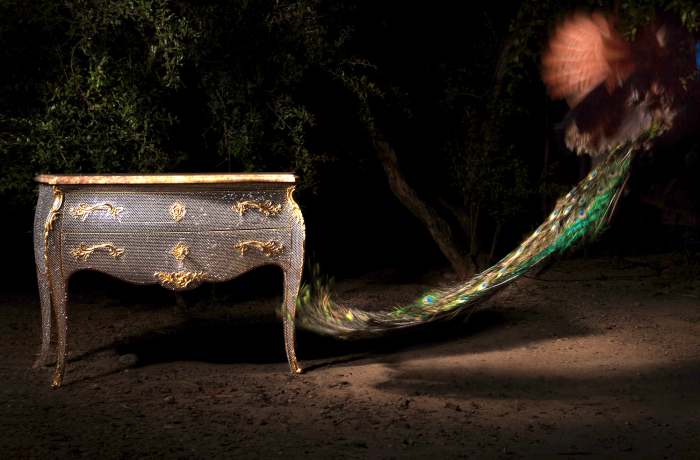 Each furniture is a unique piece, handmade of hand-applied sparkling Swarovski Crystals, blending with 22 carat real gold. The Kings & Queens Collection celebrates timeless elegance. These limited collection pieces are created with utmost dedication for flawless design.